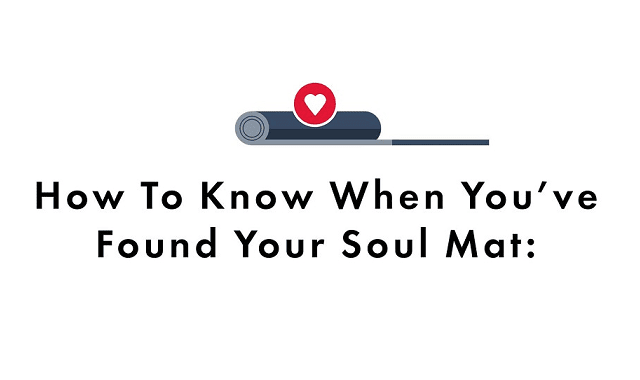 How To Know When You've Found Your Soul Mat #Infographic ~ Visualistan '+g+"
A yoga mat is so much more than a way to claim your space in class. It's your partner through the ups and downs and a witness to your personal journey. Your mat will be there for you through a life of happy practice, so it's important to find one that fits your needs perfectly. So how do you know when you've found "the one"?